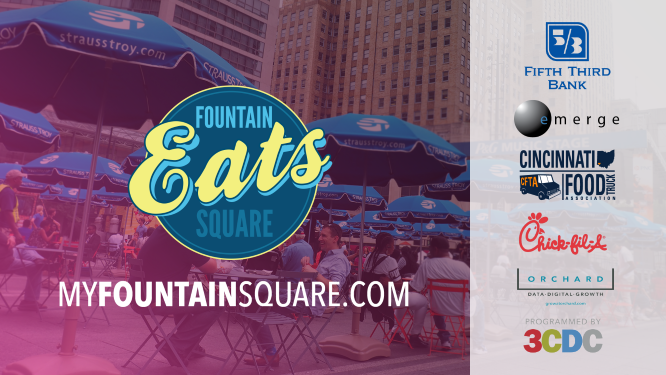 Downtown’s favorite food truck food court, FSQ Eats, returns to Fountain Square! FSQ Eats is every Thursday from 11a-1:30p from April 4- October 10. Food truck line-ups will be announced on our Facebook page weekly. Thank you to our sponsors Emerge, Cincinnati Food Truck Association, Chick-fil-A and Orchard! Events at Fountain Square brought to you by Fifth Third Bank.